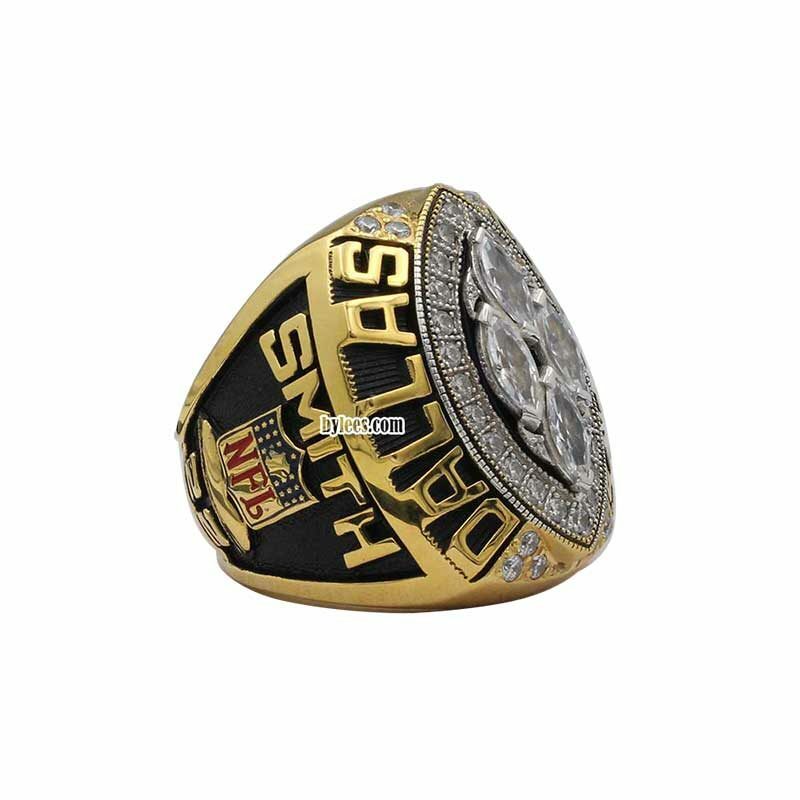 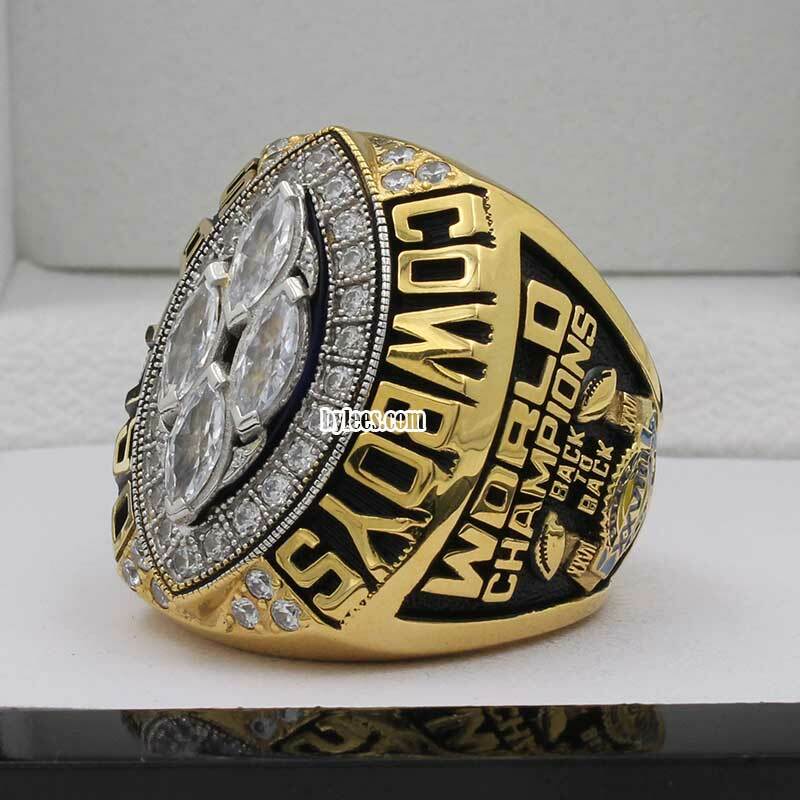 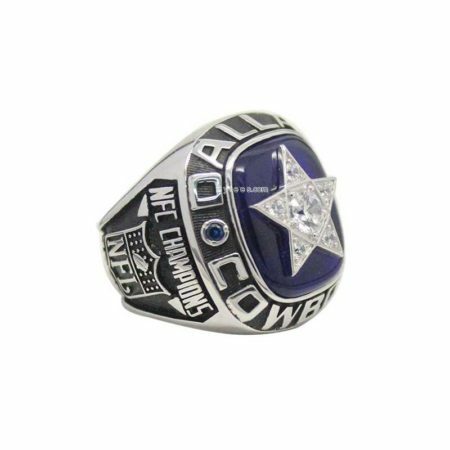 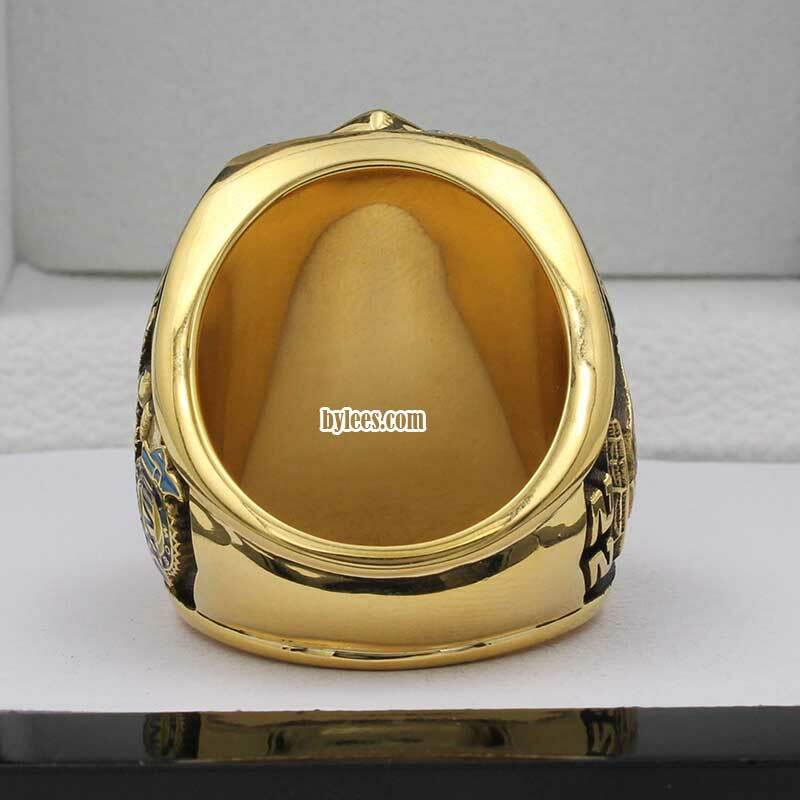 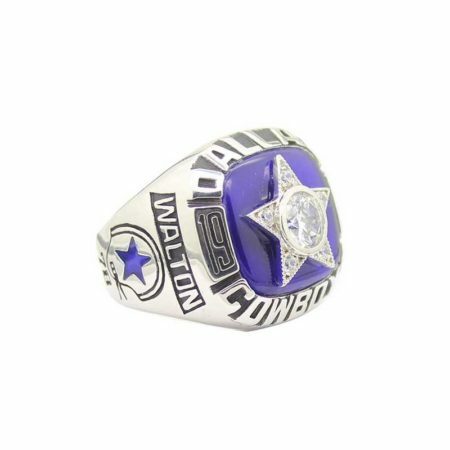 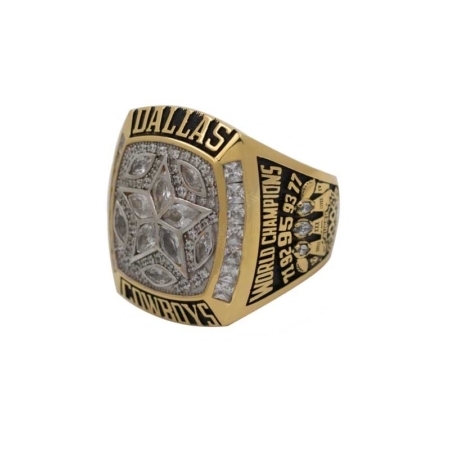 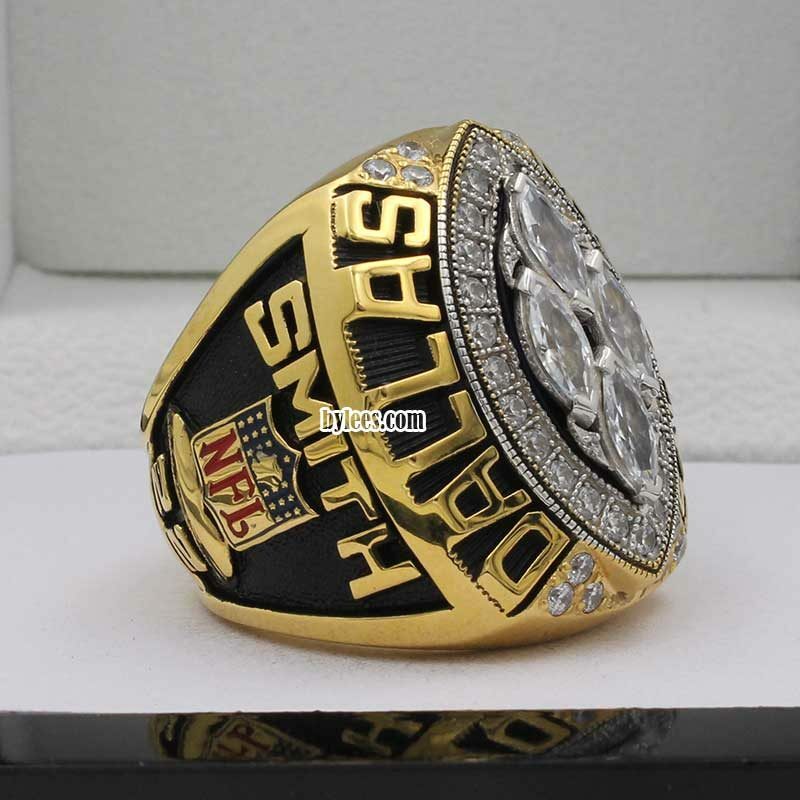 Dallas Cowboys 1993 Super Bowl Ring keeps the previous mold but implemented with 4 Vince Lombardi Trophy stead of their logo.it is also one of the most favorite Troy Aikman rings in cowboys fans, although he was not the MVP of this season. 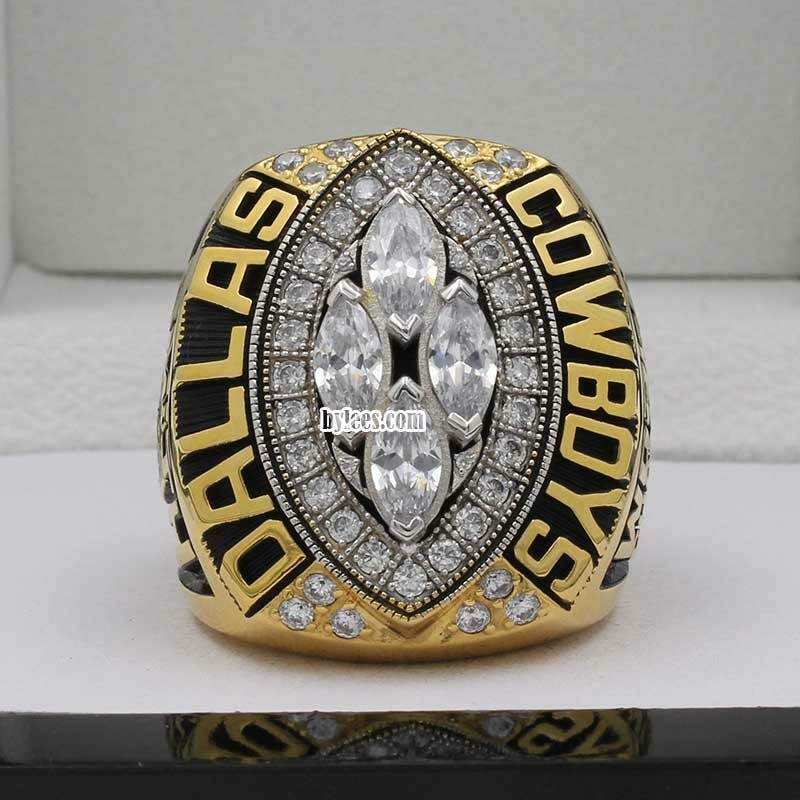 A very funny story is a personal website blogger claimed that he was the owner of Troy Aikman 1993 dollas cowboys Championship ring which stired up cowboys fans a lot and later proved his website just got hacked. 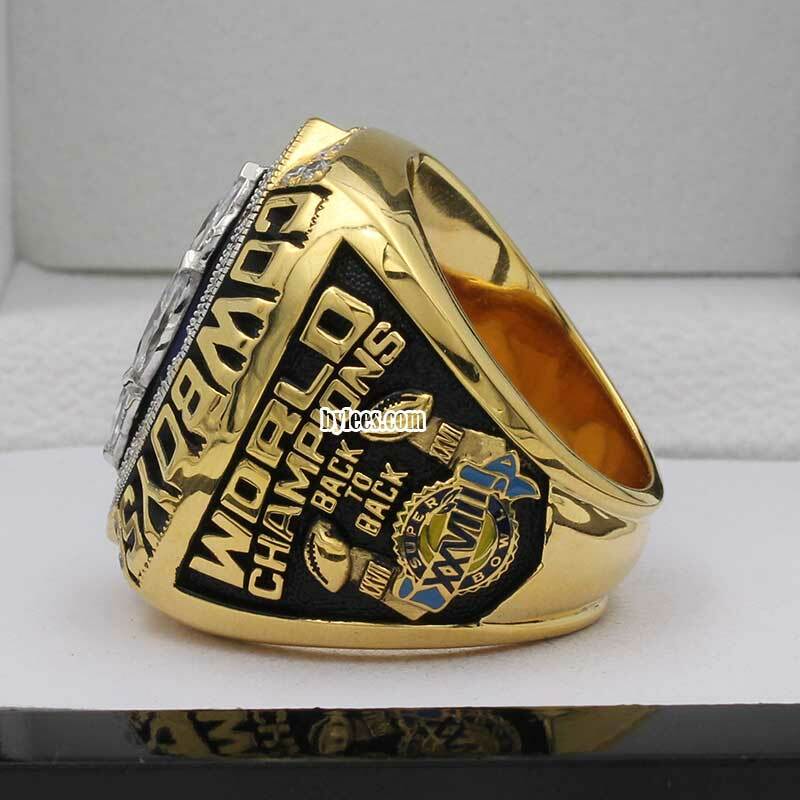 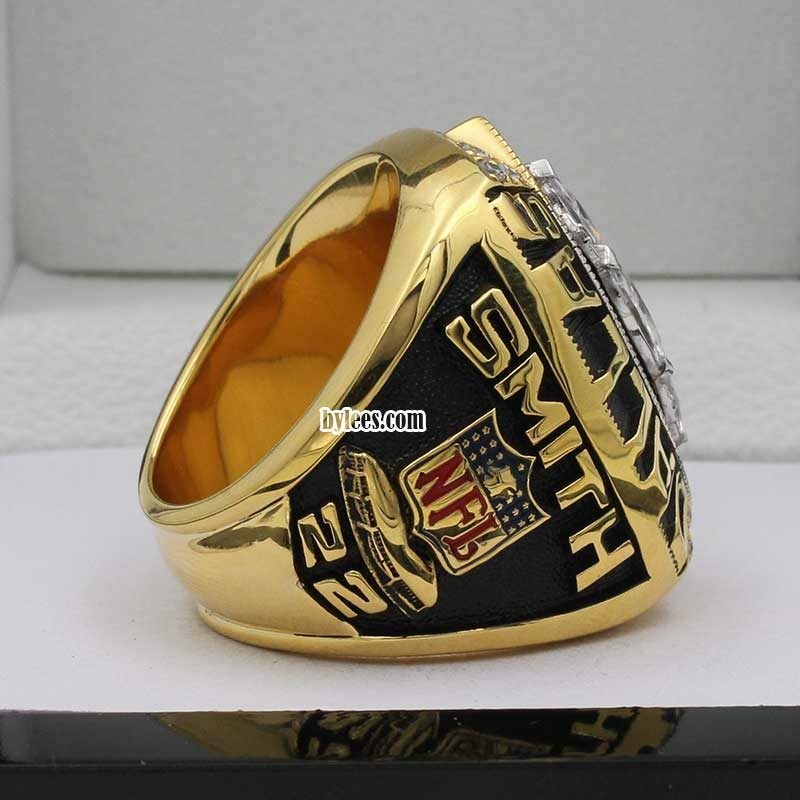 and something similar happened not just once, so you can see how popular this ring is. 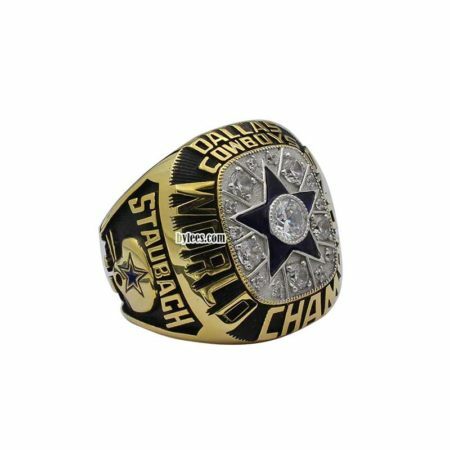 Aikman did great job untill he got concussion after Dana Stubblefield’s knee hit to his head in the super bowl 28. the rest of the Triplets (Fans nickname),running back Emmitt Smith helped lead to a 30–13 victory for the Cowboys and get himself a MVP Emmitt Smith Super Bowl Ring.